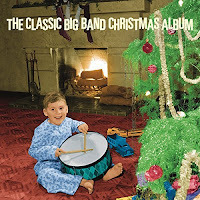 The Classic Big Band Christmas Album is a special edition release from the massive archives under the direction of Sony/Legacy. The recordings were originally released in 1941. This is in the LP format to make it something more collectable and enjoyable, if you appreciate the warm sounds of vinyl coming through the speakers. Some of the big band icons are part of the collection such as Glen Miller, Harry James and Benny Goodman and their orchestras. What I think is special for folks like me is that I remember listening to this kind of music when I was a little boy. My parents had the old 78s and I thought “The Flight of the Bumblebee” was just the coolest thing. This a holiday collection just in time to get you in the spirit and perhaps remember something special that you experienced during your life. For some of us there is both happiness and sadness if you are old enough to have parents that have passed. This music will help relieve some of the hustle and bustle and overall stress related to getting ready for the big day. If you are a fan of big band music and holiday music this is the recipe you want cooking in your kitchen this year along with the Holiday meal and goodies. I appreciated the many aspects of this collection I previously mentioned along with the fact that there are some 78 transfers included with all the crackling sounds that Mom and Dad’s records had. People like originality, something that has all the qualities and imperfections that goes along with something well worn. As they say on American Pickers, it has some good patina (I am using it as a frame of reference we all know rust doesn’t form on LPs!). There is a lot to like here, well everything. This music will transport you back to a time long ago before computers, cell phones, the internet, political correctness and social media. It certainly was a less complicated world when this music was recorded. You can hear it all resonating from start to finish. Give The Classic Big Band Christmas Album a spin and enter a world forgotten but one that can come to life by just listening. Thanks for bringing back all the memories Sony. Merry Christmas to all and happy listening!